To help you test v2 before moving to Production, please reach out to your Yext Account Manager requesting new Sandbox credentials. Once you receive your new Sandbox access, you will need to create an App to make v2 calls. The v1 API Keys do not work in v2 integrations, so once you create the new App you will use that newly generated api_key in your calls. As part of the migration from v1 of our API to v2, you will need to reintegrate many of the API calls you make. 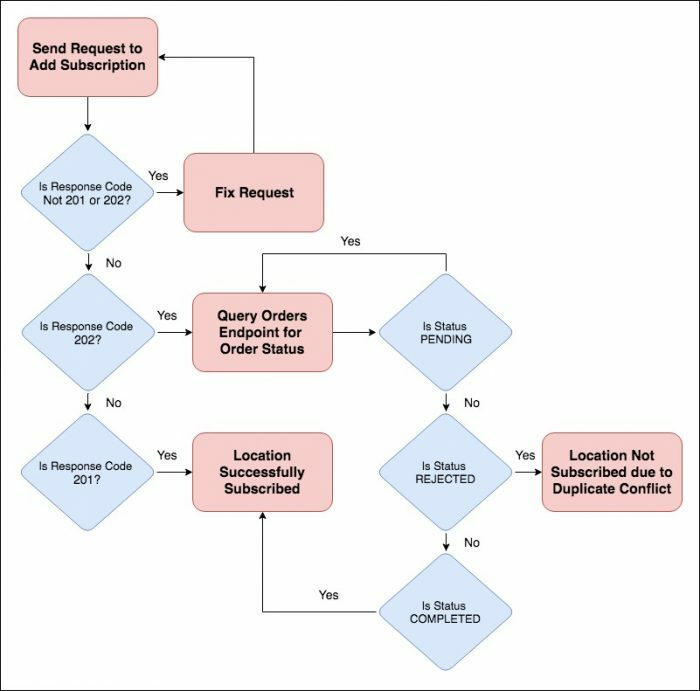 The majority of the APIs for managing locations, retrieving analytics and listings data, managing users, and generating optimization links (a.k.a. content capture links) are the same between the two APIs. Many of the changes to these APIs involve the renaming of fields. The largest change in v2, however, is the new Administrative API. In the v1 API, a Location needed to be part of a Subscription before it could receive Yext services. This Subscription gave a Customer Yext’s offerings, such as Listings, beginning from the start date of the Subscription to its paid-through date. If a Customer canceled the Subscription, the offerings associated with the Subscription remained the same until the paid-through date. This lingering service complicated billing and made it difficult to add new services for an existing Customer. In v2 of the API, Subscriptions are now replaced with Services. Services and Subscriptions share some similarities. In v1, specific Yext offerings were associated with a Subscription via an Offer id. In v2, the same offerings are associated with a Service with a sku ID. A Service cannot be canceled until the minimum usage commitment has been met. For most Customers, this commitment is one month. A Customer stops receiving a Service the moment the Service is canceled (i.e., there is no paid-through date for a Service). There is no way to un-cancel a canceled Service. Instead, a new Service must be added to a Customer. These differences make it easier to manage the features a Customer is receiving, and they simplify operational and billing overhead on both sides. The Location was a potential duplicate, so Yext needed to first determine whether it was indeed a duplicate before processing the Subscription. In addition, the new API flow replaces creating customers with multiple Locations in a single API call in favor of sending individual API calls for each Location. The benefit here is you will now know which Location is marked as a potential duplicate of an existing Yext Location and can more easily control individual Location Services. Query Add Request: Get until status is COMPLETED or CANCELED. Note that in all v2 requests below, accountId is the account ID you are provisioning from. For Portal partners, this account is generally your top-level account. This functionality is not explicitly supported in v2. Create a new Service using Add Request: Create (Existing Location).